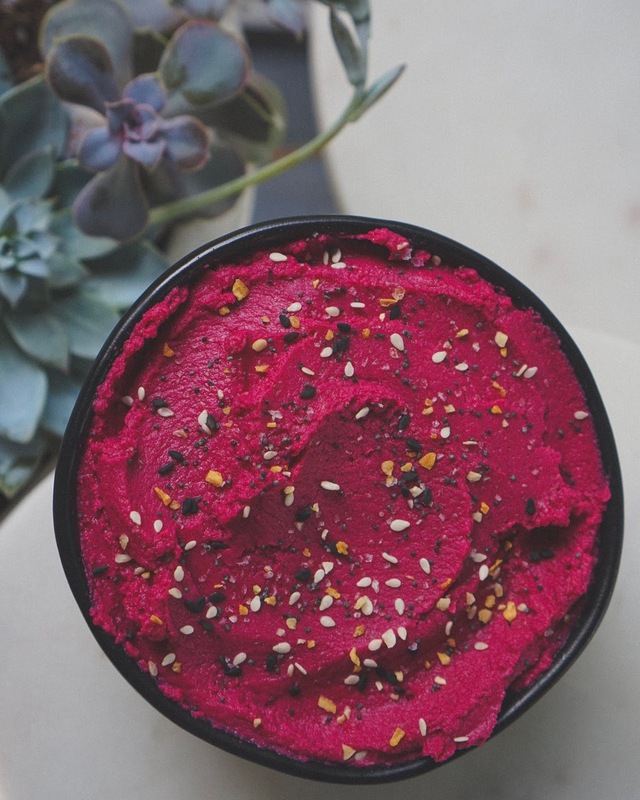 I'll admit, I love this beet hummus as much (if not more) for it's beautiful pink hue, as I do for it's taste! If you're looking for a healthy, delicious, and Instagram worthy snack - this recipe is a real winner. Using your Vitamix (I use this model) or food processor, you can whip up a huge batch in under 5 minutes. 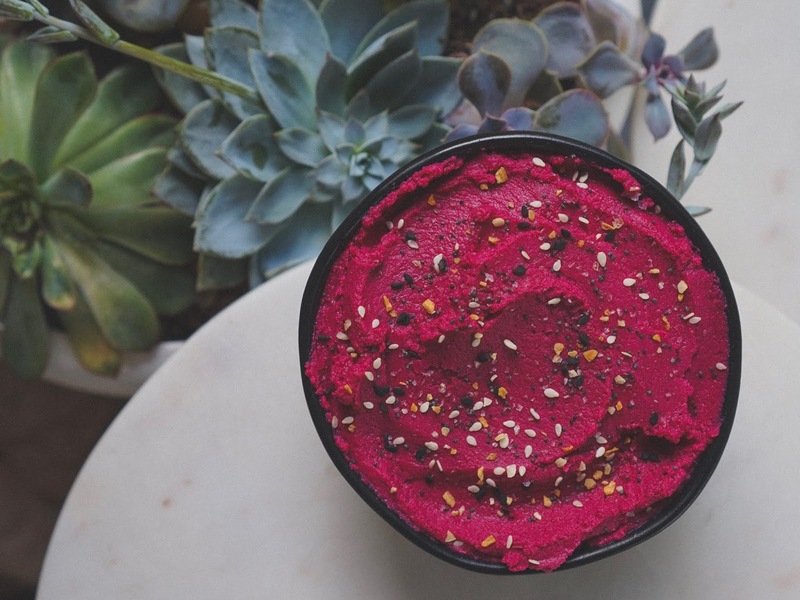 I love having this on hand to top salad, spread on wraps or sandwiches, or just for dipping crackers or raw veggies. Too keep the calories down, I've omitted the oil in this recipe, but never fear - lemon, garlic, and of course, roasted beets, keep the flavor amped up! Place all ingredients in a high powered blender or food processor. Blend until smooth - you may need to stop a few times to scrape down the sides of the container.